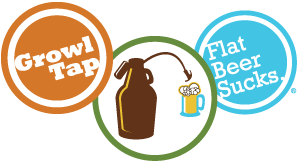 There is still time to order a GrowlTap for Father’s Day! All orders received by 5 PM PST on Wednesday the 17th will go out in time for delivery before Father’s Day. Priority Express overnight shipping is also available. All orders received by 5 PM PST on Friday the 19th will go out in time for delivery before Father’s Day.